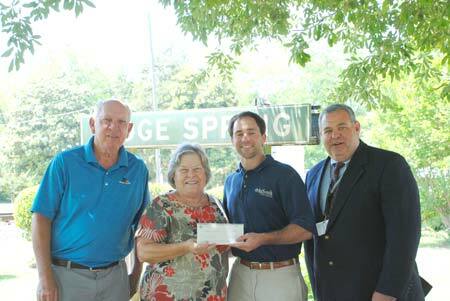 AgSouth Farm Credit Regional Vice President Matt Riddle of the Batesburg-Leesville location announced today that the Johnston and Ridge Spring Farmers Markets were recipients of a $500 grant awarded by the cooperative. 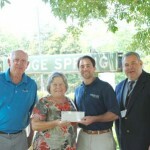 The markets were two of the 41 South Carolina and 22 Georgia community based farmers markets to receive the grants. In all, the association awarded $31,500 in grants to markets across its territory. Grants will be used to advertise and promote the markets. The markets awarded the grants will also receive 250 reusable bags with AgSouth’s “Think Outside the Store” logo to give to their customers. Many of the markets plan to use the logo in their advertising, according to Executive Assistant Heather Taylor, who was in charge of the grants. “To be eligible to receive a grant, applicants had to tell us how they would use the money to advertise their markets. We got some really creative ideas – everything from creating a system for online orders to hosting petting zoos to holding a recipe raffle and a watermelon spitting contest.” The Johnston and Ridge Spring Markets will use the grant funds to advertise and promote the market to area consumers. 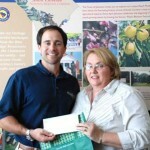 Last year AgSouth awarded grants to 21 Georgia and 25 South Carolina markets in AgSouth’s territory.